Can one manage to sit before the TV set and watch just one episode of ‘La Casa de Papel-Money Heist’? The answer is no. And it’s not us but numbers that speak. Every week, the TV Time application Twitter account publishes a list of the most binge-watched series in Netflix. Guess which Spanish drama series is always among the five leading ones. Exactly! The biggest heist in history, an original idea by the writer Álex Pina, is so addictive that it becomes impossible to stop watching. 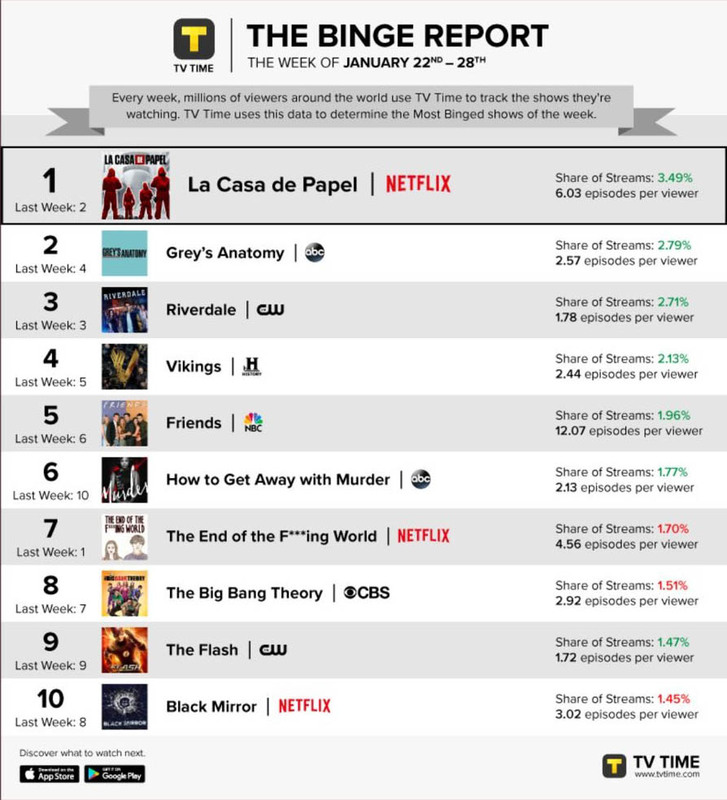 Collecting the consumer audience data, every week TV Time draws a list where appear the episode average watched by viewer, the stream rate of the viewings and other activity info related to the series. 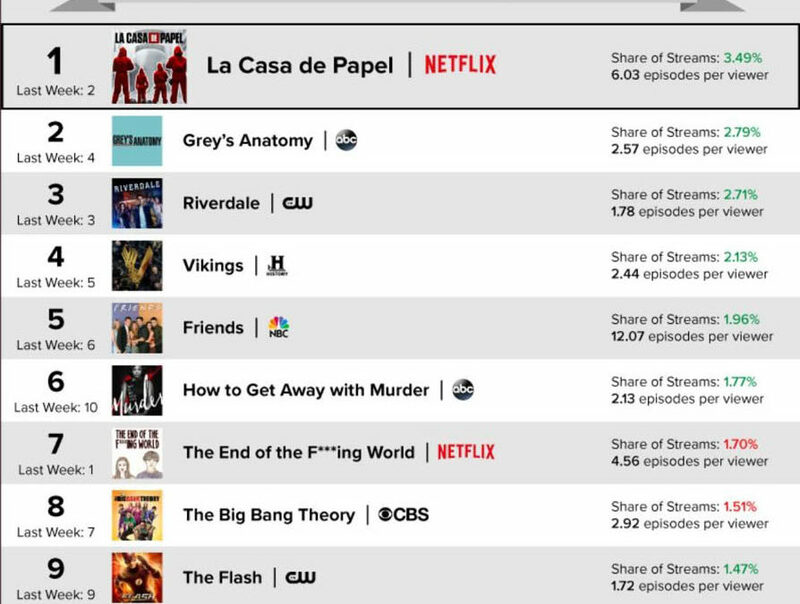 ‘La Casa de Papel-Money Heist’ has prevailed and remained number one in that chart for six consecutive weeks; it’s the most binge-watched series.